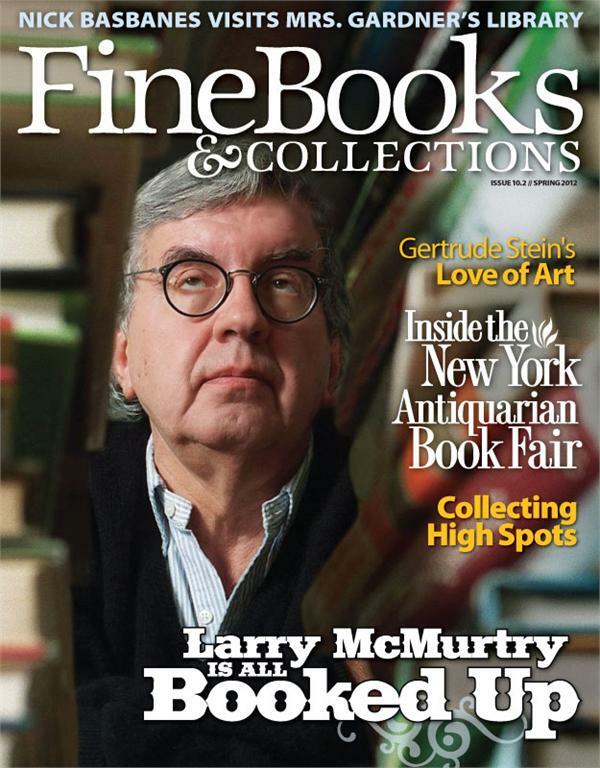 Fine Books & Collections offers you the best insight into the world of collectible books, maps, and other artifacts of paper. Youll be first in line to hear new voices, gain new insights, and get the most out of your passion for books. Now published quarterly, Fine Books & Collections is sure to please. Join Nicholas Basbanes, acclaimed author of A Gentle Madness, Joel Silver, respected rare books librarian, and others in every issue. And theres so much more. Our guarantee to you: If youre not satisfied with Fine Books & Collections, well give you a full refund of your unused subscription cost. But with great writing and beautiful color throughout, were certain youll truly enjoy every issue! US - $19.98; Canada/Mexico - $29.98; Other International - $39.98. Published four (4) times a year in March, June, September and December. If we have just published an issue, you may not receive your first issue for 12 weeks. However, we always offer past issues online for resale. To purchase a copy of a past issue click here.